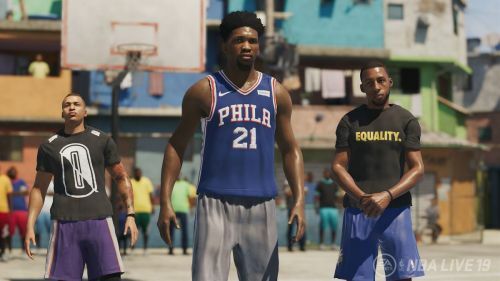 Just as NBA 2K has the 'My Career' mode and player archetypes within it, "The One" game mode and the archetypes within it have become part and parcel of NBA Live. Before you choose to embark on the journey of being an NBA Player, you have the choice of creating this player and moulding it into whoever you want it to be. 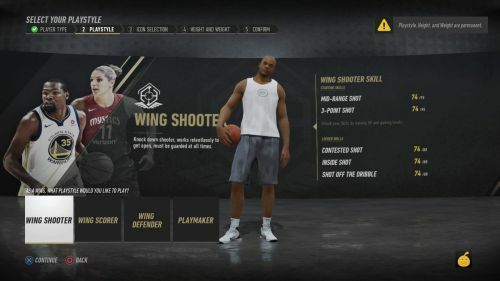 NBA live 19 has a variety of option starting from playmakers to defenders and post anchors to backcourt shooters, you can choose almost any type of player through this feature. While there is always scope to improve your skills and increase your stats in other areas, this choice will dictate how you grow through the game and your primary skill-set. The most primary of your skills and the basis for all the others is decided by which archetype you choose at the beginning of the game. You can either be a world class defender or maybe you're good at finding space and shooting, however, these will never cross over. NBA Live '19 offers 11 builds to make your players with, here is a rundown on which of them are the best. One of the most fun positions to play, being a wing shooter gives you the ability and basic skill set to evolve into becoming your own Kevin Durant. The All-Star 2019 MVP is particularly good at finding the space and getting shots in, and that is what this archetype enables you to do. These kinds of players are offensive monsters. When they are given the time and space to convert, they will. Further to build this player, and enhance their skills choose The legend and opt for a mid-height, lighter player.